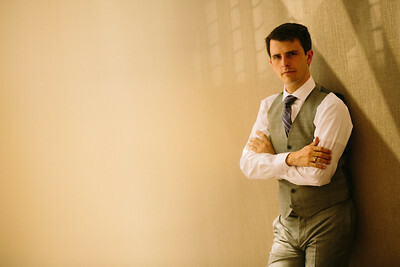 Columbus Wedding Photographer, Engagements, Events, Portraits and more. I am a people photographer. For most families, photographs are among our most prized heirlooms. I strive to capture these timeless images. From weddings to portraits, my intent is to fill my photographs with the emotions, feelings, and essence of you. As a photographer, I am very much a purist. I still use light meters and shoot in manual mode. I am obsessed with light and the human form. I believe a great photograph isn't taken, it's made. It is using the right light, the right posing, and the right attitude to bring out the best in you. It is about knowing and anticipating the subtle moments of your day. 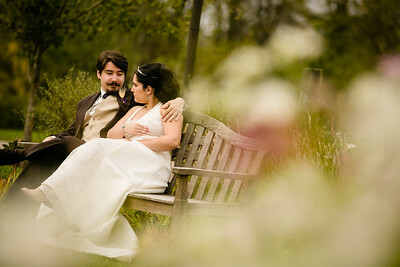 I have photographed hundreds of weddings. And as the lead photographer for COSI, The City of Dublin, Fleet Feet, M3S Sports and CapCity Sports Media, I photographed many events and advertising projects. I have worked with numerous national brands including Carrie Livingston Design, GQ Magazine, Panera, Giant Eagle, The Westin, The Blue Jackets and The Ohio State University. I also own CapCity Sports Media and we were the official photographers for the 2016 U.S. Track and Field National Championships. From the camera to post processing, to customer service, surpassing client expectations is my number-one priority. I have a wonderful wife, son, 2 Birman cats, a Cavalier King Charles Spaniel and a German Shepherd. My wife teaches ballet and is an amazing cook. We got married at the Westin Columbus, one of my favorite venues. My son began working with me as an assistant in 2010 at the age of 13 and has photographed over 100 weddings with me. He is currently studying Graphic Design and Photography at Akron University. I have the most amazing animals. They keep us smiling everyday. I am fortunate enough to work from a home office and I'm spoiled all day by the company of my pets. My wife and I love to travel. We love to barter photography for hotels and we've stayed in some amazing places. Our favorites are the Westin in Florence (Italy), Cortona (Italy), Cozumel (Mexico), and San Jose (Mexico). We especially love NYC, Chicago and Miami. These next two years, our goal is to visit many state parks out west. We are dying to see the Grand Canyon, Grand Teton's, Coyote Canyon, Redwoods, and drive the California Coast. "Robb McCormick has a very artistic approach to photography which made our wedding photos something truly unique and beautiful." "Robb makes you feel like you've known him forever. What a great photographer! He's passionate about his job and wants to make you look amazing." "Great photographer! He did both our engagement and wedding photos!! Had a great time and everyone LOVED our pictures!!!" "I have nothing but wonderful things to say about our experience with Robb. Not only did he take beautiful pictures of our wedding day, but he also made the actual picture taking process enjoyable."